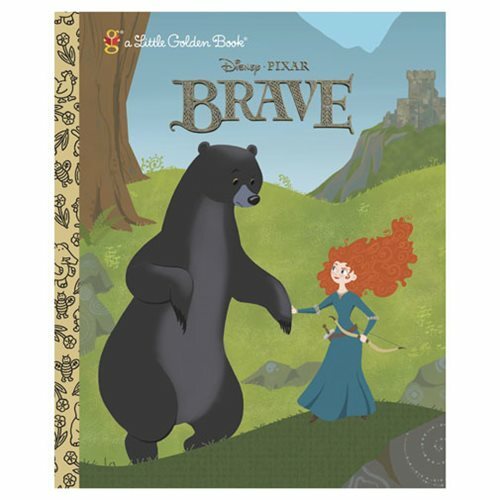 Read the story of Pixar Animation Studio's 13th animated feature film, Brave, with this Brave Little Golden Book, Using brilliant text and beautiful illustrations, this book retells the epic story in the rugged and mysterious Highlands of Scotland. Follow the path of a skilled archer named Princess Merida, who defies a sacred age-old custom and inadvertently unleashes a beastly curse upon the kingdom. This exciting 24-page book is great for children ages 3-5 as well as fans of the film.